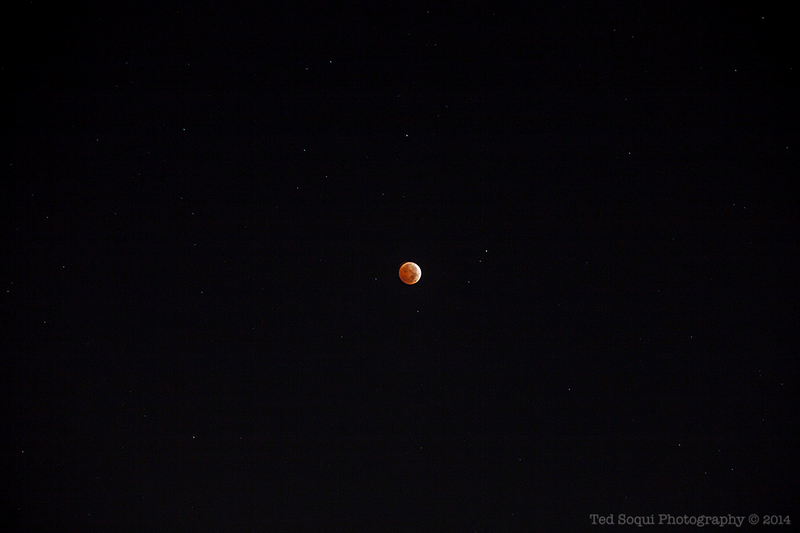 A full lunar eclipse in the early morning hours over the city of Los Angeles. 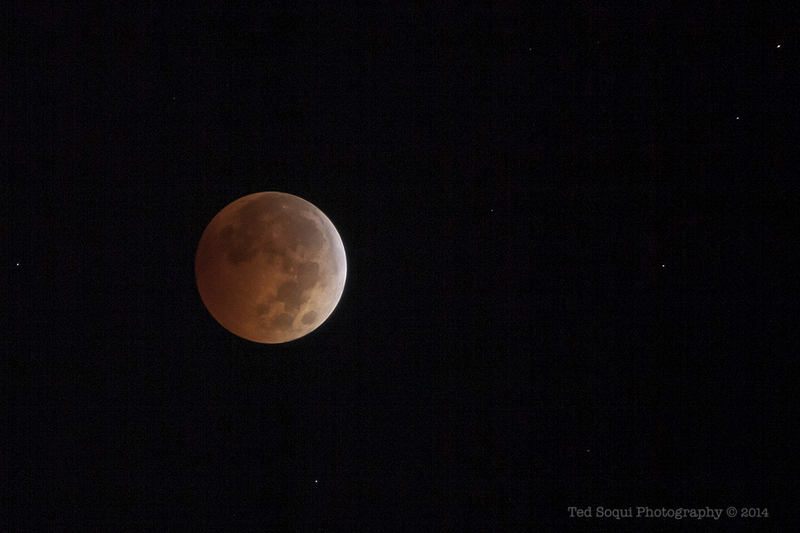 An orange shadow was cast on to the moon from the Earth's atmosphere during the eclipse. Moon with stars. Click to see larger. 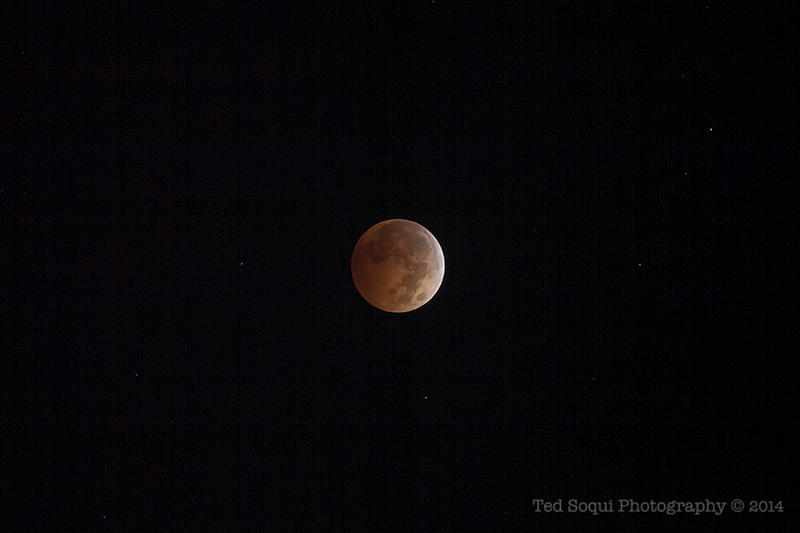 A blood moon with cosmos. Click to see larger.